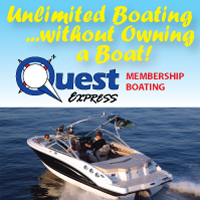 Quest specializes in providing affordable financing for boats, lifts, kayaks and even mechanical services. We have partnered with the industry's finest lending institutions to provide you with ultimate in flexibility. No need to wait for that new kayak or boat improvement project you've been thinking about!